The 2017 RIT Future Faculty Career Exploration Program participants. 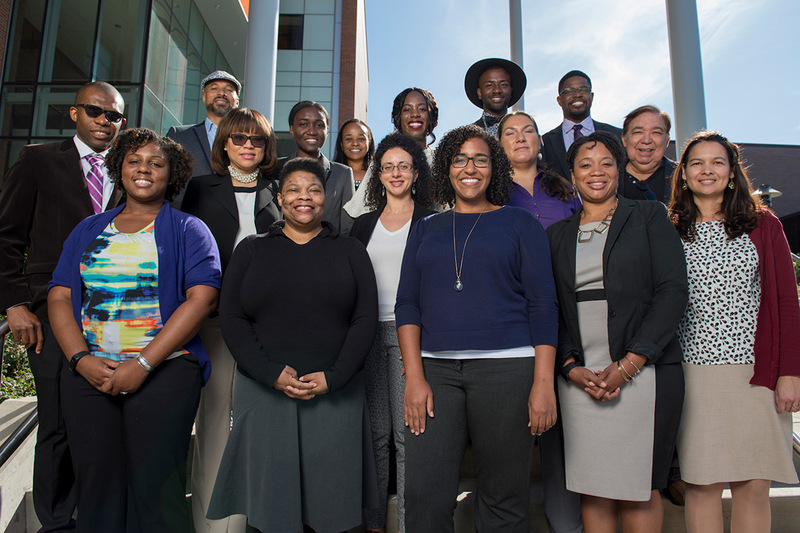 Rochester Institute of Technology is welcoming diverse prospective faculty from across the country to explore teaching and post-doctoral opportunities at the university this week. 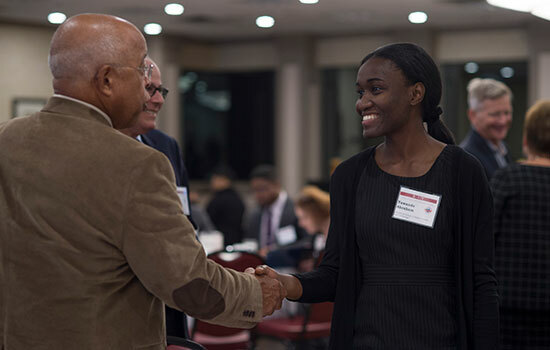 The 19 scholars participating in this year’s annual Future Faculty Career Exploration Program (FFCEP) come from prestigious universities including Carnegie Mellon University, Texas A&M University and Georgia Tech. The program focuses on recruiting prospective candidates nearing the completion of the highest academic degree in their field, as well as junior faculty and those on post-doctoral assignments. Now in its 15th year, the program has welcomed more than 330 participants to campus since its inception. In that time, RIT has hired 22 program participants to faculty positions, including two this past year. Throughout the four-day event, participants present their scholarly work and meet with deans, faculty and students. Attendees practice interviewing techniques and receive feedback on scholarly work in formal and informal settings. The event also includes presentations and discussions about the university’s research and career development initiatives, tours of RIT’s colleges and laboratory facilities and time to explore the greater Rochester region. Last fall, Yewande Abraham was a doctoral candidate at the Pennsylvania State University when she came to RIT for the Future Faculty Career Exploration Program. It helped assure her RIT would be a good fit, and after completing her studies, she secured an assistant professor position in RIT’s Department of Civil Engineering Technology, Environmental Management and Safety. Earlier this fall, RIT was recognized with several noteworthy awards for its commitment to diversity. For the fifth year in a row, RIT received a Higher Education Excellence in Diversity (HEED) Award from INSIGHT into Diversity magazine, which honors colleges and universities that show an outstanding commitment to diversity and inclusion across their campuses. RIT was also honored as an institution committed to diversity for 2018 by Minority Access, Incorporated for the second consecutive year.